Welcome to the Canadian Wildlife Federation's WILD Family Nature Club program. 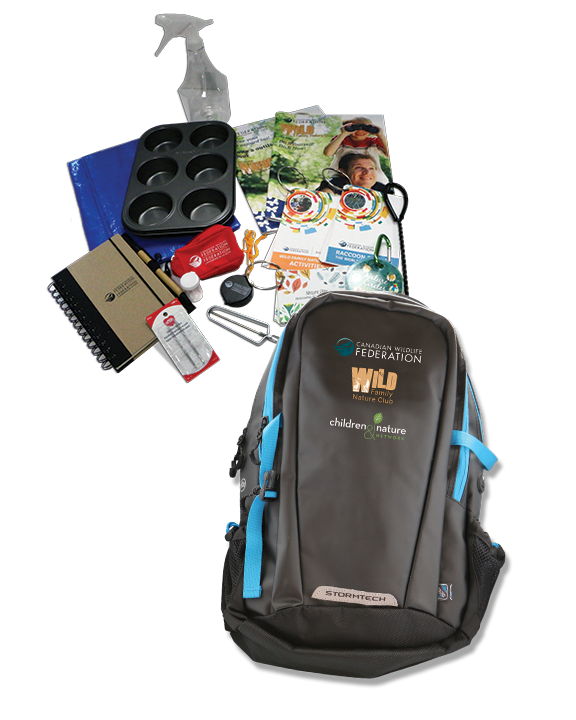 The WILD Family Nature Club initiative was developed with help from the International Children and Nature Network. 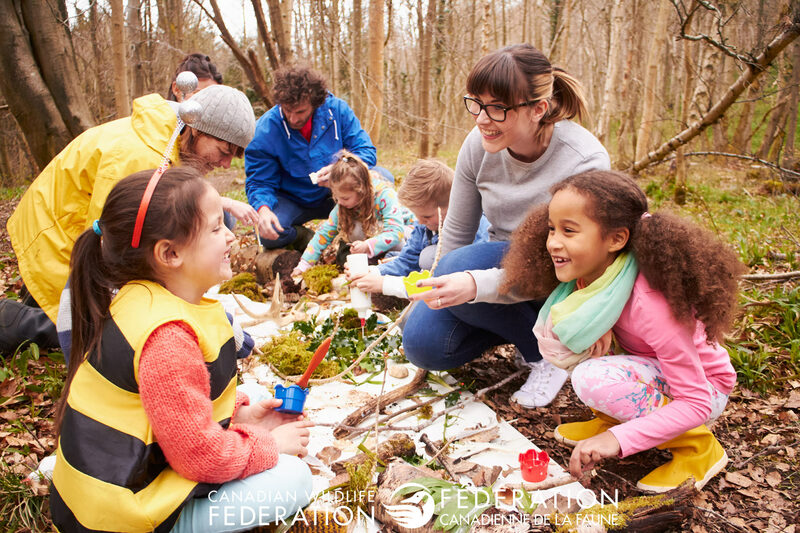 The program is designed to support volunteers like you who want to work with CWF and inspire a love of nature in others by connecting children and families to a world of outdoor play and exploration. From simple nature hikes through urban parks to surveying wildlife conservation areas with your free iNaturalist Canada app, there is no limit to the kind of nature-based activities you can incorporate into your program. 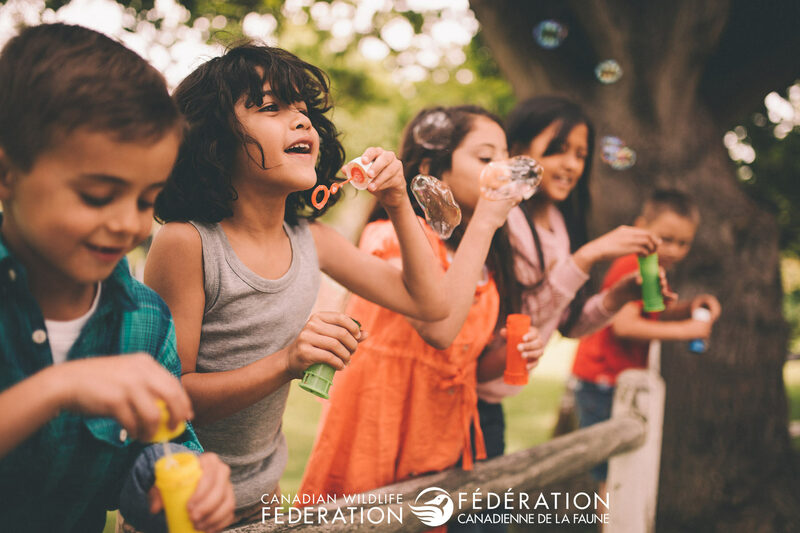 Working with CWF, club leaders can develop the elements of their own semi-structured outdoor programs, hosting family-friendly events anywhere in Canada. If you're interested in starting your own club, you can register to become a WILD Family Nature Club volunteer leader. Whether you run private or public events, you can utilize the online platform to promote the time, date and location of your next WILD Family Nature Club adventure and invite others to participate in your scheduled activities. You can also participate without having to start a club. Individuals and families with children interested in participating in WILD Family Nature Club activities can start by registering their information. Once you’ve registered, you can search our online events calendar to find the WILD Family Nature Club activities nearest you. Are you ready for adventure? Let’s get started! Become an official CWF WFNC program facilitator and we’ll help give you all the necessary tools to run your own club. We’ve partnered with Taking It Global on an information rich website you can use to manage your Club activities. Simply sign up to gain instant access. 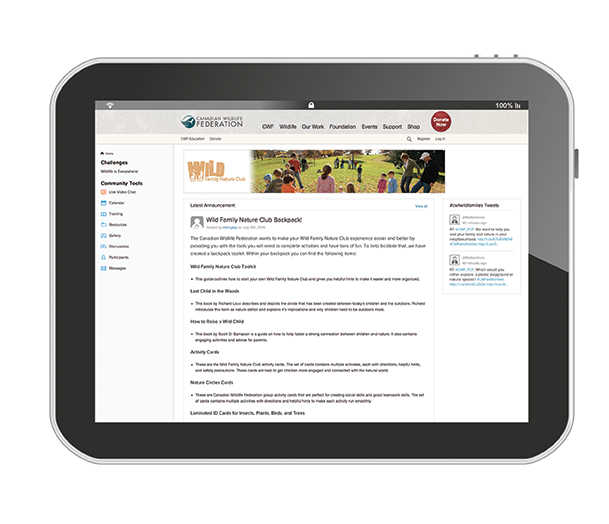 Explore our WFNC calendar to find activities and events in your area. You can find it on our partner website with Taking it Global. Don’t worry – you only have to sign up once to access our information hub.